Head of Human Resources, South Asia. 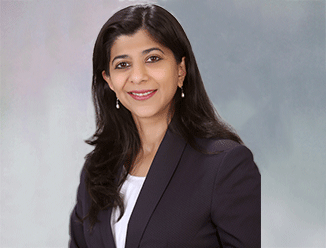 Jayamalini is the Head of Human Resources for CBRE in South Asia. She is responsible for driving the people strategy for CBRE’s business in South Asia, conceptualizing and delivering relevant people solutions to enable seamless business operations, and build a great place to work. Through her tenure at CBRE, Jayamalini has defined a clear People Strategy and established several new initiatives to bring in the best talent and enhance retention levels by focusing on aspects like work culture, careers and benefits. She has also streamlined Human Resource Operations and Labour Compliance processes. Prior to her association with CBRE, Jayamalini worked with leading global multinational organisations in the Healthcare, IT and FMCG domains for almost 15 years. Through her roles, she led the practice through Business Partnership, Talent Management, Organisational Development, Change Management and Total Rewards. Jayamalini is a Gallup certified Strengths Coach, and has been certified by the Hay Job Evaluation and Mercer IPE methodology. Jaymalini holds a Masters in Business Administration degree with specialisation Human Resource from XLRI Jamshedpur, India.